Welcome to the premier resource for all real estate information and services in the area. I hope you enjoy your visit and explore everything my realty website has to offer, including Sarasota real estate listings, information for home buyers and sellers, and more About Me, your professional Sarasota Realtor. 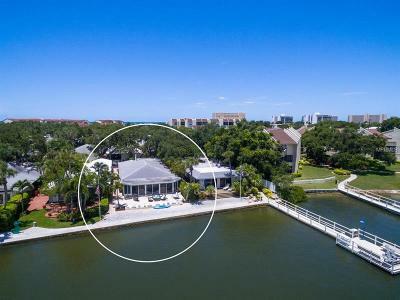 "Your Real Estate Professional in Siesta Key, Sarasota, Venice, Nokomis, Osprey, Longboat Key, Bradenton, Holmes Beach and Anna Maria"
Providing a superior level of informed, professional real estate services for buyers and sellers in Siesta Key, Sarasota, Longboat Key, Lido Beach, Anna Maria, Holmes Beach, Bradenton Beach, Bradenton, Osprey, Nokomis and Venice. Siesta Key vacation rentals and accommodations also available. Chosen as a member of the Coldwell Banker International Sterling Society for outstanding sales performance, Helene has also been awarded the FIVE STAR: Best in Client Satisfaction SM designation by "Sarasota" Magazine eleven times.